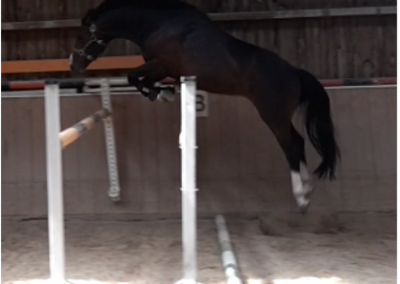 Stunning young jumper prospect. He is just coming 5 and is developing nicely under saddle currently. If his breeding says anything this boy has big boots to follow and we do believe he wont embarrass his lineage. He loves to jump and nothing phases him. Not spooky or silly in the least. Is still careful but not so that he wont accept a mistake. 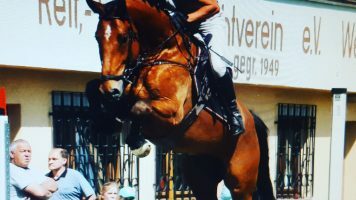 Dam herself jumped the World Championships in Lanaken as a youngster. She had herself numerous placings up to 1.45m internationally. Further she is also the 1/2 sister of HH Memphis ridden by Quentin Jugde. Looking further back his grandmother jumped 1.40m internationally herself. then the greatgrandmother produced the approved stallion and international GP jumper Glasgow vh Merelsnest. 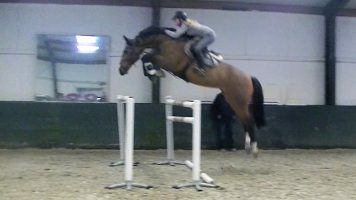 she has on top of that produced numerous GP jumpers as well. This boy has a very very promising future. Importing a horse through Top Horses LLC has been a wonderful experience! They have trustworthy staff who walk you through the process step by step. I cannot thank Helene enough for helping me find my dream horse. 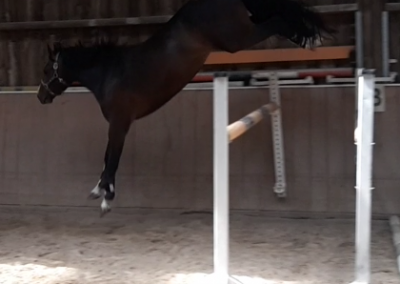 I recently purchased Ivo B a 4 yo Dutch Warmblood and could not be any more satisfied with his quality, personality and flat work for such a young horse. I highly recommend purchasing from Top Horses LLC. I never knew that importing a horse could be so easy! When I think back about the horses in my life, my favorite and most important ones are due to Helene and top horses. I cannot say enough about their eye for quality and talent. Importing a horse with Helene can only be described as easy and stress free. Everything is so upfront and you can guarantee the horse you get will be everything you thought it was going to be or more. They have advanced my career and provided amazing experiences for our students. As a young professional I feel so lucky to have this relationship. Hi my name is Emily and I purchased a six-year-old Holstein her jumper mare back from Helene from top horses last July in 2015. At first I was worried to buy a horse off video sight unseen. But to be honest for the value of the horse that I got from Helene you can't find that in the states you either have to get an older horse that is not as good or younger horse that isn't trained . 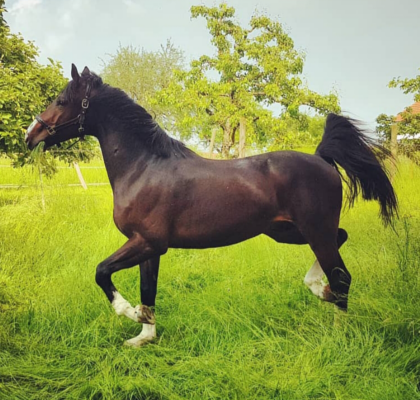 With top horses I was able to get a young horse that was show ready with amazing bloodlines and a gorgeous conformation and a sweet personality for the same price as I would've for some older horse with problems in the states. She was in contact with me as soon as I called her every day and answered every one of my questions and got back to me within the next couple of minutes no matter what time of the night it was LOL she is by far a top professional and what she does and the best around. I would completely recommend buying a horse from her because you definitely get your moneys worth and the service that you deserve with buying a horse from her . her horses are by far amazing and I've imported horses from Europe with other people or directly with the breeders and I wish in the end I would've just bought the horse from her. My horse is amazing and actually better than as described in the videos and in her description. Everybody loves her and she is going to be amazing. I am so happy that I chose to get my horse from top horses because she certainly is a top horse . Helene was so nice to deal with she made me feel like any question that I had to ask wasn't stupid or unimportant. She organized everything from x-rays to vetting to transport and kept me up-to-date every day and sent me pictures and anything I needed she was always there for me to help me. I can't wait to buy more horses from her as soon as I get the money. If you are looking to buy a horse look no further top horses is the place to Get your next superstar horse! I went to Europe for my first time in search of six horses for clients and myself. As it was my first time I wanted to check out a lot of different options. I ended up coming back with three from Tophorses, LLC. All three have more than exceeded our expectations so far. Helene and her colleagues were by far the best brokers I dealt with. They went above and beyond to make sure we had everything we needed to be comfortable in our decisions. I will certainly be back again! Cannot recommend Helene and her business Top Horses LLC enough. We have had some back luck with horses in the past so I was adamant about getting a young one for long term that was easy enough for an amateur to bring along with a "dumblood" mentality AND a clean clean vetting. Basically a non-existent unicorn unless you had six figures. Before we had gotten to the horse Helene found us, we had already vetted horses stateside, in Canada, and abroad in Europe and nothing had worked out. We had exhausted all of our contacts and brokers and it wasn't looking promising. After six months of searching and coming into winter I was honestly hopeless, never believing I would be able to find something for the budget, especially figuring in vetting and import for those outside of the country. It took one Facebook message to change all of that. I figured Helene's horses would all be way out of the budget so I never contacted her before but that was clearly a mistake. She responded right away and immediately sent me a couple of options that all were reasonably priced and top quality. But like I said, I was super picky. So after telling her what I liked most about the few she sent she came back a few days later with what would become my horse. From age, to movement and type, breed, size, and vetting, the horse checked off every box AND we rang in under our max budget including vetting and import. Helene was there for all of my pre-flight anxieties when my horse was coming in and there to answer my plethora of questions from his breed registry to what to give him after a lot of traveling. Additionally she sent out a wonderfully thoughtful care package with great quality products that really work! And even after the sale she's been extremely helpful and wants to know how we are progressing, again answering all of my queries. Honestly I was about ready to give up until we found Helene who found us a horse and got him home to us in under 3 weeks from our first contact. The process itself couldn't have been easier and she will always be where I go for future imports, even though I'm hoping for a very long and exciting partnership with my new boy! 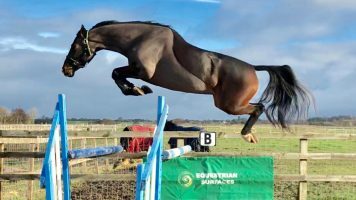 We've had him just under a month now but each ride is a treat and he's the young green horse you could trust an amateur on with a great head on his shoulders. Cannot beat a good brain (or a thick tail and lovely forelock). Thank you Helene, you truly found my elusive unicorn! Thank you Helene Jones for our incredible Top Horse, Gracias CA. We all recognized his potential and when asked questions you were thorough, upfront and honest and we will always be grateful. He is exactly what you described and more and we received the quality we had anticipated. Thank you for being, proactive and a pleasure to work with. I imagine there will be more Top Horses to come down the line! Want to send a huge thank you out to Helene Jones for finding us Caleto and Hasko!! These horses are amazing. They are part of the family here in South Carolina and such celebrities already!! They have both improved in leaps and bounds and are destined for greatness! Thank you Helene for your unwavering commitment, your patience and your honesty! We look forward to doing repeat business in the future!!! Helene, I can't thank you enough for getting me the horse of my dreams! This was only my second horse purchase and my first time buying off video. I'm so glad that I chose to buy from TopHorses LLC. The whole process was easy & straightforward with lots of communication throughout the vetting and transportation. I knew that the horses advertised were talented and high quality, but what would he really be like in person? I've had 'Eddie' for almost 2 weeks now and he has exceeded all my expectations! Of course he is big, handsome, and fancy....but he also has the sweetest temperament, a great work ethic, and is much more amateur-friendly than I dared to expect!! We're heading to our first competition in a few weeks and look forward to sharing our successes in future updates. I have had the opportunity to purchase multiple horses from Top horses LLC and have never been disappointed. They do an accurate job in description of their horses, answer all of your lit questions thoroughly. They make horse buying pleasurable , allowing you to feel confident and comfortable about your purchase. Top Horses LLC will continue to be my first choice in purchasing imported warmbloods with quality and talent. We couldn’t be more pleased with our first experience importing a horse. We took a leap of faith and bought from a video because Helene made us feel so comfortable with our choice. She asked many questions about my daughter’s riding ability and history. She provides truthful information from her partners about each horse and the sale videos are recent and not edited. Helene is extremely professional and honest and is quick to reply to any question. We had our trainer talk with Helene to make sure this would be a good match for our daughter and asked for another video of a younger girl riding the horse. Nothing was ever a problem. Her follow up is outstanding and our horse got to Los Angeles without a hiccup! Of course they are a perfect match and are sure to go far! We couldn’t be happier. We would definitely recommend her if you are considering importing. I could not have asked for a better experience buying my mare through Helene! She answered every question imaginable and got me a wide variety of requested videos so incredibly promptly (from big coursework to flatwork to free movement). She handled the entire import process, including setting it up so that my mare could do her CEM quarantine at my vet's clinic (without me even asking!). And my mare - wow! She is everything Helene promised and more. 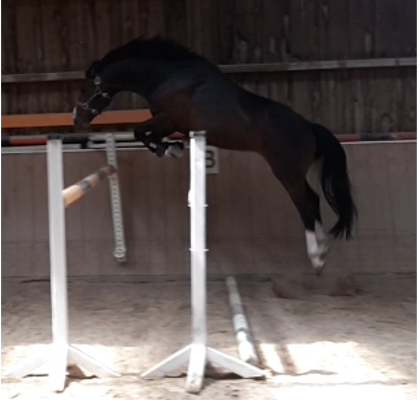 I was looking for something to get back in shape on in the 1.30m, but this mare is going to be much more than a practice horse - she is going to be a 1.40m speed master! I cannot recommend Top Horses enough for finding your next partner! I can't recommend Helene and TopHorses, LLC highly enough. One of my horses got hurt right before Florida and I needed to buy one right away. I had looked at hundreds of videos but I couldn't find anything in my price range that I wanted to buy. I called Helene and she recommended a horse under budget. I have never bought a horse off a videos but I didn't have time to go to Europe. It was a leap of faith. The horse is amazing and has exceeded my expectations in every way. Helene has been a dream to work with and I will definitely buy another horse from her very soon. Thank you Helene for finding my beautiful Finn for me. He's such a lovely horse and we are so happy to have him as part of the MDM Equestrian Group Team. Watch out for him in the jumper and equitation rings. Dear Helene, I am writing to share how happy I am to have found such amazing horses through TopHorse. I imported both of my horses around a year ago and I can not be happier with them. This was the first time I ventured into the idea of bringing in a horse site unseen. I saw so many nice jumpers through the Tophorse website. Helene was very helpful as we talked thru my riding goals and horses that might fit my needs. I liked that many of the horses had X-rays and good pre-purchase vet exams. From a practical standpoint, wanted to make sure the horse had a clean vet record and was amateur friendly so if the horse was not the exact fit I was looking for, it could be resold. As an older amateur, I feel that I am at a point in my life that I don’t want to spent a lot if time getting horse to a competitive level, I just want to go out to win. I work with trainers but I also do a lot on my own so the horses had to be talented and safe. Both horses had good foundations and had some competition experience in Europe. They were used to tight arenas with a lot of jumps coming up fast which was a good foundation. I liked that Helene and her partner knew about the temperament of the horses to help advise the best horse for my riding style. Both horses were very amateur friendly and quickly settled into my workout routine. I was amazed to be showing both horses within weeks of importing them. They settled at my farm and on the show scene quite remarkably. I am thrilled to have two wonderful jumpers that are competitive and fun to show. 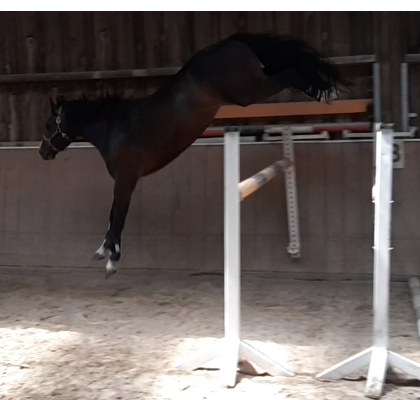 I love looking at the talent on the TopHorse website and I know it will be easy to find my next jumper when I am ready for another one. I recently had the pleasure to work with Helene when looking for a new horse for my niece. 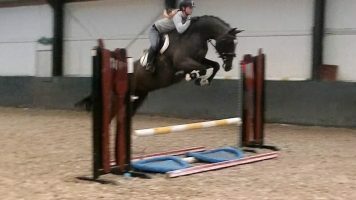 We purchased a Dutch warmblood (Frodo) from Helene so that my niece could move up to the Juniors. He is a high quality horse that she found in Europe and made much easier for us to try out here in Kansas. Helene and Debbie Morrison worked very hard to help me pair up this rider and young horse. Frodo has been a total gentleman and has performed beyond our expectations so far. The transaction was very quick and easy with their help as well. Thank you so much for all your hard work and dedication in matching quality horses with up and coming riders! If you are looking to import a horse, look no further than Top Horses LLC and Helene Jones. After being burned by a bad experience abroad, I was hesitant to buy through a contact I had never worked with before, but Helene was exactly what I needed to feel secure again. Professional, honest and personal, I’ve never been more comfortable dealing with a seller than I was with Helene. She offered endless support, immediate responses to my array of questions, and made the entire importing process smooth sailing, even with my reservations about buying a horse off a video. If you’ve ever imported on your own, you know how many pieces have to come together to make it a success, but with Helene, you don’t have to do a thing! Everything is door to door service and when I got “Frits” home, he was everything and more that he had been advertised as. He’s been an absolute joy to work with from the moment he stepped off the truck, and I can honestly say I have never worked with such a well-behaved youngster. Whether you’re looking for a project to start or a made show partner, Helene will find you your perfect horse. If you are considering importing, or are new to the process, I can’t recommend Top Horses LLC enough! I will definitely buy from her again. Belanca was the first horse I've imported and to say I was pleased is an understatement. 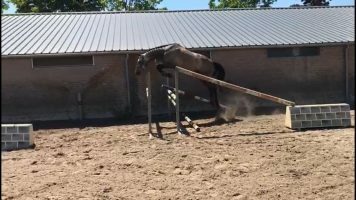 I was concerned about purchasing a horse off a video, but Helene and my trainer, Shanon Bejrano (Fairwin Farm, Sarasota, FL) worked together to find the perfect horse for me. The process was so easy that I was able to feel excitement instead of stress. I'm looking forwards to the day I can work with Helene again to import my next TopHorse. I would love to recommend Helene and Top Horse LLC for the future purchase of your next horse. 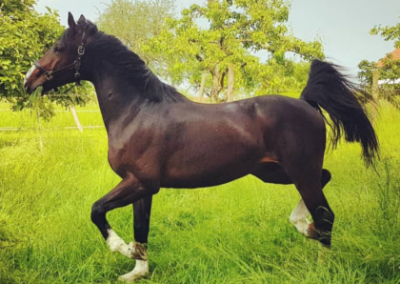 We have imported many horses over the years and working with Helene was unbelievably easy! She was always able to return emails and be contacted by phone, and when you have a busy schedule that is important. She was up front and HONEST about everything. Being able to purchase a horse with no more than video and pictures to start with and not being able to go overseas to try it means you have to trust what you are being told, and we got the exact horse she told us about! From the athletic ability to the personality of the horse was just what we were told. Helene took the time to stay in contact during the sale, import, quarantine and even after the horse arrived to our farm. She cares about the horses she sells and it was nice that she contacted us after to see how things were going. Your relationship with Helene and Top Horse LLC will not end after the sale of your horse, it will only begin! Absolutely love my Top Horse. Using Helene for my first erupean purchase was the best decision I’ve ever made. She is honest, affordable and most importantly she sources high quality sport horses. I wouldn’t hesitate to purchase from her again and I highly recommend her if you’re in the market. Would definitely buy from again. Everything we were told was what we got when he came over! We purchased our Top Horse, Ezra, and let me tell you, her business is called TopHorses LLC for a reason. Ezra is absolutely outstanding, he is the horse of my dreams. Importing through Helene was such a good experience. She was honest about everything, always on top of things, and was always happy to answer any questions we might have had. And even after he arrived to Colorado, she still keeps in contact and wants to keep updated with our success! The thought of buying a horse from just a video was a little nerve wrecking. But when Ezra arrived, he was everything Helene said he was. I am just blown away by the quality of this horse. There are several other TopHorses at my barn and all are just outstanding. So if you are looking at importing horses, I highly recommend going through Helene, she will definitely find you your dream horse. Thank you so much for everything! I purchased Murphy from Helene and Top Horses in June 2017. He is a star!!! He has the movement and the gallop and the jump and the presence to get to the top in any sport but certainly as an event horse!!!! When I approached Helene about finding a new horse earlier this year, I was looking for a unicorn. You know, "Find me X, Y, And Z, and A, B and C, and, by the way, on a shoestring budget." Undaunted she took on this task and worked with me. Anytime a horse came across her path that met my parameters, she sent it to me with her opinion and insight as well; always honest and upfront. She was incredibly patient and understanding, because I was picky, and probably made her want to pull her hair out. As she says about some of the horses she advertises, "She gave her utmost." It took months, but finally, she found a match. Everything about the process of purchase and import was smooth and easy. I never worried, and she kept me in the loop at every turn. She is a true, honest, and reliable professional in an industry that sometimes make us question these things in others. I wouldn't use anyone else if you are considering purchasing an import. Thank you, Helene, for all your hard work and professionalism. Very pleased with the entire Top Horses experience. From start to finish, Helene made the process easy. “Zillow” is just as described and was a superstar at his first US show. My client is thrilled and so am I. I would definitely go through Top Horses again in the future. 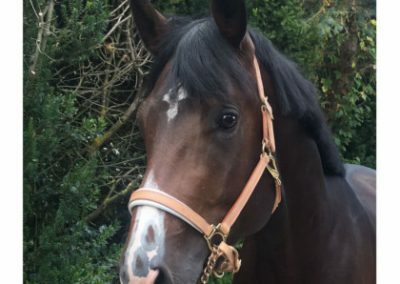 I cannot come up with the words to express my appreciation to Helene Jones for connecting me with Hernandez .... the perfect horse for me. I am an adult amateur rider with a tight budget and in past purchasing experiences spent most of my budget traveling and trying horses. I knew there had to be a better way and that's when I met Helene Jones. I saw a horse she had posted so I inquired. We visited about what I was looking for and my budget. I appreciated her honesty with each horse we discussed and her patience as I was wavering back and forth on getting another horse. She let me know about a four year old that had just come available. I never would have thought about a horse this young but I knew I could put the horse in full training and with Helene's confident recommendation on the personality and temperament of the horse I moved forward with the purchase which was by far the EASIEST horse purchase I have ever made and I feel a lot of it is due to Helene's prompt communication and patience answering questions walking me through the process. Thank you Top Horses LLC for finding my "unicorn! We could not be more thrilled with the young horse we bought through Top Horses LLC. Helene and her partner listened to our needs and searched tirelessly to find the perfect match for my client. This was my first time purchasing internationally off of only photos and videos. The youngster that arrived was exactly as described and very well started. Nelson adapted to our program quickly and we are so happy to have him. We will be using Top Horses again for future purchases. We purchased Etoulon 332 (J.R.) in February of this year and couldn’t be more happy! He is a great horse and exceeded our expectations. His description, videos, x-rays and discussion with Top Horse were honest and true. We worked with Helene at Top Horses and she made the transaction easy and smooth. They care so much for their horses which is noticeable in our new guy! After J.R. was delivered to our barn in CO, Helene has been in constant touch to ensure we are happy and to check on how he is doing. We highly recommend Top Horses and would absolutely purchase another horse from them again! I want to take a moment to thank Helene for my 'Unicorn'. Purchasing a horse thru the 'internet' essentially, is a risky venture. However, my transaction thru Helene proved to be smooth, transparent and of great value to me. You can't beat the quality of Horses and at these prices you can't go wrong. She has also been very accessible once my horse arrived and has helped me with anything I've asked of her. 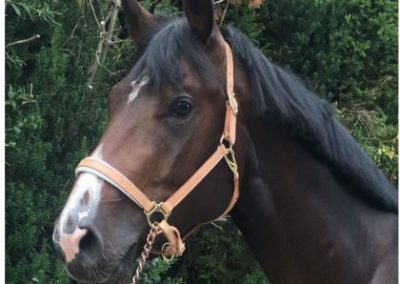 A truly unique Horse-buying experience with Helene. As the owner of 3 Top Horses, I can't say enough positive things about the process of selecting, vetting, purchasing and riding these wonderful horses. They arrived in the US from Holland with talent and have continued to develop into amazing athletes. 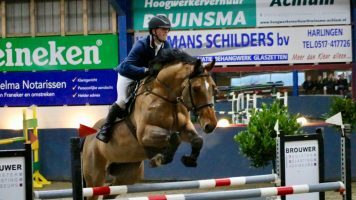 As an Amateur rider who does most of my training on my own except at shows and occasional lessons, I needed Top Performing Young Horses that were safe and sane and sound. I relied on the experience and relationship I have with Helene Jones to help me find 3 Amazing Horses. I got most of them as 5/6yo's. As young horses, I felt they were all started properly. Good basic dressage/flat work. Knowledge of balance and lead changes. Jumping course and jumping a few big ones to show their scope and willingness. Some experience in the show ring. Frankly, I could not find these attributes in young horses in the US at the price I was willing to spend. They were probably 1/2 of what a similar horse in the US costs and that included vetting, import, and everything. The horses arrived with full vetting and xrays. I felt confident in my purchases that if the horse was not the fit for me, I could easily sell him and recoup my investment. I love riding, training and showing everyone one of my Top Horses. I get so many compliments about them that it is all-around fun. Which is what it's all about. Winning, Fun and Loving these Amazing Animals. Townsend Farm purchased Zetterberg in the summer of 2016. He began his hunter derby career shortly after. He has had great success as both a performance hunter and derby horse. Winning his first ever international derby in 2016 with trainer Devney Hoft. 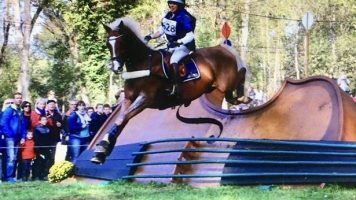 He continued on to place 8th overall in the Aiken International Derby, 6th in the Aiken National Derby, 5th in the Jump For The Children National Derby, and 10th in the WEC National Derby. He has recently gone on to teach a young adult the ropes, placing 5th and 8th respectively in both Raleigh National Derbies. Townsend Farm can not thank Helene Jones and Tophorses LLC enough for sharing such a wonderful, well loved horse with us! I can't think there is anybody in the horse business more invested in client satisfaction than Helene Jones of Top Horses LLC. Buying a horse sight unseen is a tremendous leap of faith and there are so many things that can go awry. Helene and her partners represent horses fairly and honestly - they don't employ any tricks or clever videos. Their horses are literally of the highest quality at the most reasonable prices they can find. Helene is there to answer questions day and night. She is honest and reliable. The horse you get will be the horse they represented it to be, or better. Since I bought my horse a couple of years ago Helene has been in constant contact. She wants updates, she wants me to be happy, and most importantly, she genuinely cares about the welfare of her horses. She's invested fully in the horse world and her business model is an example of ethical behavior. The horse she found for me is scopey, brave and confident. He is also smart and as sweet and loving as can be. He is better quality than they said he would be and will have a place with me for life. I can't say enough great things about Helene Jones and Top Horses Llc. Helene has been an absolute gem to work with on every horse we've purchased with them. The horses are exactly what we expected and the customer service is the best in the industry. 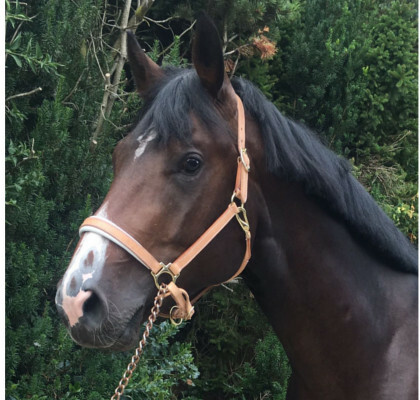 Being interested in purchasing a young horse, a friend of ours recommended we visit Helene’s website. We browsed for a little while at some very nice horses before picking one that would work, hopefully, for us. She was young so we requested some additional videos, all made in a very timely manner, and personally emailed to us which was very appreciated, and exactly what we asked for. When the horse was vetted every little thing was brought up to us over the phone and we almost felt like we were present. A description of a certain muscle on the horse was exactly what Helene had described upon meeting Ho Ho finally. All the paperwork was done, shipping arranged, quarantine, etc and it was the easiest process I've ever gone through! I am floored by what Top Horses LLC is doing. It makes to horse buying process so easy you want to keep buying more! I have also got to mention that this is one of the most quality horses we’ve ever had. Thank you Helene and Top Horses LLC, we will certainly be returning customers. I cannot say enough about Helene Jones and Top Horse LLC. From our first communication to the present day she has been open honest and wonderful to work with. I now have an amazing horse with abilities beyond my expectations. It was also important to me that my horse be an ‘in my pocket guy’ again my expectations have been surpassed. I am totally in love. I never considered importing a horse until I came across Top Horse LLC. I looked at hundreds of horses posts and nothing could come close to what I was seeing on her site and in her posts, so I took a leap of faith! During transport a medical issue for the pilot took my horse to Canada and Helene and her team were on top of it! Giving me updates and sending me pictures to assure me that my Gordon was well cared for in his delay. I was so excited when he showed up at my farm, 10:00 pm, in the dark, with my very big dogs checking him out…he walked through my electric gate which he had never been exposed to, up my long driveway, into my barn and looked at me saying hello! And yes he had me from hello! Go ahead, take the leap, you’ll be glad you did! I have known Helene for over 10 years. We rode together, showed together, and now she has helped me find a dream horse for my child. She was very responsive, honest, and complete in her description of the horse we acquired. She made the process very easy. She also follows up to see how things are going. I would highly recommend her and TopHorses. Riva overachieving at her first show! I could not love this mare more! She is absolutely phenomenal! Incredibly scopey, brave, AND careful – a rare and winning combination! Even with a rusty, out-of-practice amateur in the irons, she’s still jumping a 10+++ over everything! Enormous thank you to Top Horses and Helene for finding this gem of a horse for me at a steal of a price! 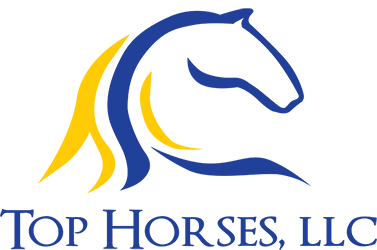 We would like to thank you and your team at TopHorseLLC for the terrific experience of selecting and purchasing a horse from your network in Europe. As first time clients, we appreciated your patience as we reviewed and evaluated several horses until we found a perfect match for our teenage Hunter/Jumper. We appreciate the open lines of communication between you, your team in Europe, our trainer Noelle (Delacreme Equestrian) and our local Vet. Chivas 57 (AKA Casey) handled the transport from Germany well and has settled in nicely among the sport horses in the barn. We were comforted that there were no surprises in the process; everything took place just as you advised us it would. It was nice to have ready contact with a representative from Horse Flights while Casey was in quarantine and to have a representative from Horse Flights meet us during pick-up. We are very comfortable with our purchase and even more excited with Casey’s potential. We are looking forward to seeing Casey and Allie grow as a team over the next several years. Top Horses LLC and Helene Jones truly found my perfect match! I was an amateur looking for a horse that was safe, with a great temperament and a good brain, and Helene delivered just that. I was in the market for a horse that was already trained and at least 6 years old. 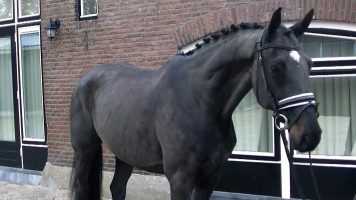 But when a barely 4 year old came along, Helene assured me that his temperament was exactly what I was looking for and that he would be easy to bring along with my trainers supervision. She couldn’t have been more right! He arrived exactly as described. Halifax has and old soul, is super mellow and even falls asleep at the in gate-which is perfect for me! He is coming along so quickly and is such a fast learner. The entire purchase process was smooth and simple with clear communication every step of the way. Top Horses LLC is extremely trustworthy, with the buyers best interest in mind. They take pride in the horses they offer for sale and treat their clients with the utmost respect-professionals and amateurs alike. Use Top Horses for your next import and you will not be disappointed. We have imported a few horses over the years and I am pleased to say that our most pleasant experience to date has been with TopHorses LLC. the whole process from start to finish was handled professionally and Helene was quick to address any questions or concerns throughout. I felt comfortable knowing that Helene was overseeing the entire import experience. Not only did Friggy arrive safe and well looked after, she was also exactly what Helene had represented to me. I would not hesitate to recommend TopHorses LLC to anyone, I know I will be calling on Helene when looking for my next prospect. Tophorses LLC makes shopping for horses easy. 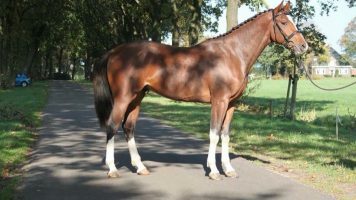 They always have a great selection and they are constantly finding new horses. A great buying experience. 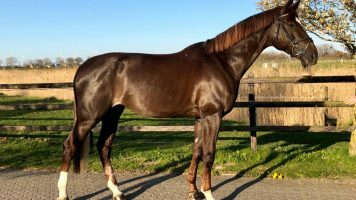 I have imported many horses from Germany, Holland, Spain and even Brazil, but my experience with Top Horses, LLC has been the easiest I have had yet. I wasn’t even looking for a horse, just yet, but I knew I would be looking for a 17+ hand EQ/jumper in the future. When I saw Caprio, he was everything I envisioned that I wanted, and I knew I had to have him, even though I hadn’t yet sold my current horse. The communication and correspondence with Helene was always quick and she answered every question I had. There were new x-rays that had just been taken and I had them immediately sent to my vet who said he had never seen such perfect x-rays on a horse before. This would be a horse that my daughter will likely inherit in the next year, when she outgrows her current horse, so it was very important that the temperament and rideability was such that he would give her confidence and teach her…a horse that she could trust, and I could trust with her, and Helene assured me that he would be. I was getting ready to leave the following week on trip to abroad, so I was a little anxious about not being here during the shipping process or being here to meet Caprio when he arrived, but by some miracle, Helene was able to get him on a flight within a couple of days and he was at my barn before I even left on my trip! The shipping process was the best I have ever experienced. I am accustomed to the horse getting on the plane in Amsterdam, and after that, I am on my own coordinating the quarantine, etc. I was unprepared for the service that would accompany my horse all the way until he was settled in his stall at home. Top Horses, LLC uses Horse Flight, where my horse basically had a concierge that stayed in contact with me through the whole process. I was updated on when he loaded on the plane, and I was even given a link to follow his flight and know exactly when he arrived at LAX. Once unloaded, I received a phone call about his condition, temp, etc. I even received a text with a picture of him! I had already been on the phone with haulers, trying to make arrangements to pick him up on his release date, but Horse Flight had already even taken care of that! He was picked up right at his release time and was at my barn to meet me in Arizona that same evening. It has only been a couple of months, but we have all fallen in love - he with me, me with him, my daughter with him, he with my daughter! When I LET her ride him, she can’t get the grin off her face. Her horse can be lazy, so Caprio is a refreshing change for her. His personality is exactly like a big dog. He has never spooked at one thing, he goes on the trails, and he just makes you feel safe. When you can trust a horse, it just makes your bond that much stronger. My trainer describes him as a giant gentleman, and that he most definitely is. I look forward to years of fun and smiles with my big guy…can’t wait to see what the future will bring! 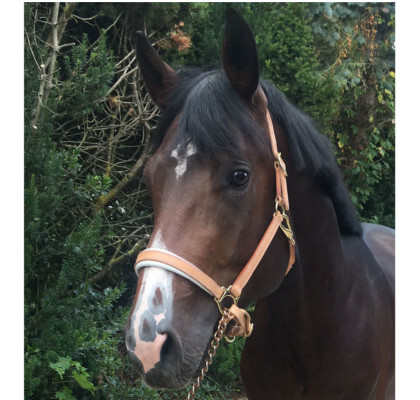 I purchased my 6 yo mare from Helene and Top Horses and I couldn't be happier - this horse is an exact match to what I was looking for. Helene has a fantastic way of reading her clients and matching them to horses in her portfolio. I sincerely respect and appreciate her honesty and transparency. It can be terrifying to purchase a horse from video without riding/trying them before to see if they suit you, and I was blown away when I realized my horse was exactly as promised when she landed to me! 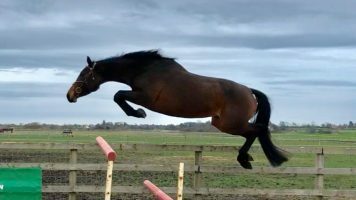 She's an incredible mare with endless talent, extremely well bred and a total doll to work around. I highly recommend Top Horses for anyone looking for a seamless process to purchase a horse. They take care of every tiny detail for you and make sure your purchasing and travel process is super easy from start to finish. Thank you for matching me with my dream horse! I recently purchased a horse from Helene. She was so incredible to work with!! She got back to me right away with any of my questions that I had. She scheduled everything from the vetting pre purchase and pre flight to the actual flight which can be a nightmare if you have never done it before. The horse I purchased was exactly as she described and more! He is not only talented but extremely sweet!! I highly recommend Helene not only does she have a great eye for horses she is beyond amazing to work with!! Get an Exclusive Preview of All New Horses! 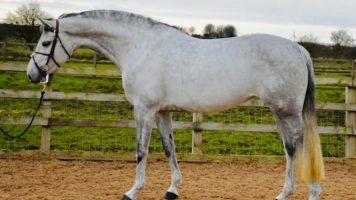 Top Horses are often sold before ever hitting our website. Our newsletter subscribers are notified at least 24 hours before they are posted!